Paul asked me to write about a current wave of hysteria over an infectious agent. Just when I thought the H1N1 frenzy was all I could handle, along comes Mycobacterium avium to make people want to switch from efficient showering to bubble baths. I have to preface this posting with some background on me - I work in a biological lab where we teach graduate students how to perform genetics and molecular biology experiments. I deal with bacteria, genetics, and education on a regular basis. 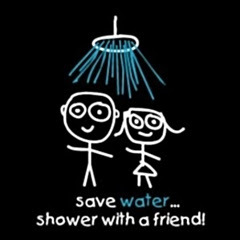 I also do not live in a place with a bathtub, so I am definitely not interested in giving up showering! I have been reading some of the news reports lately with ridiculous, reactionary or downright wrong information about one small preliminary study that found a common bacteria living in a warm dark moist place - namely your showerhead. According to news sources, and I use that term loosely, scientists have found that dangerous deadly bacteria are blasting out at us in enormous amounts, deeply penetrating our lungs and are putting us in the path of harm. Of course, bacteria are everywhere- literally- maybe even outer space. Some are harmful, some are helpful, some we know well, some we know nothing about at all. The one getting its 15 minutes of fame lately is Mycobacterium avium. Apparently, if your immune system is suppressed by AIDS, cystic fibrosis, organ transplant, etc., you MIGHT be at risk to get a pulmunary infection from exposure to this bacteria. Healthy people should have nothing to worry about, well at least not from this bug. Honestly though, it's not the overreaction by the press that bothers me, it is the actual paper that caused this fervor. I wish I could share a link to the whole paper but unfortunately, it is not freely available for anyone to read online. I have access to the whole paper through my work, so I am writing about what I read in the original publication and what I am reading in the press. I don't think that the intention of the authors was to cause the stir that they did, but I find their media comments, if they are correctly quoted and in the right context, to be irresponsible and inflammatory. I also think that the reseachers are taking a small number of samples - less than 50 - and making far-reaching assumptions. Given the tens of millions of showers in the US alone, the conditions of just under 50 should not be used to draw broad conclusions. 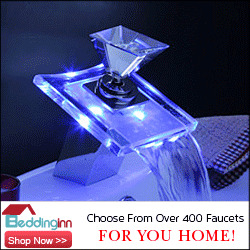 The Mycobacterium avium are accused of forming "biofilms" inside showerheads. Biofilm is a collection of the bacteria forming a slimy mat, which in this case is water resistant and waxy. They basically have made a little community in a safe place where they can divide and hang out unmolested. The scientists claim in the press that the bacteria could be blasted into the aerosol mist that accompanies the water out of the shower head, especially when the shower is first used. The scientists published in their paper that the actual amount of M. avium in the aerosol shower mist was the SAME as in the water that came out of the pipes. NO increased amount of bacteria was found in the mists of the showers they studied. The lead researcher ignores this finding though, and claims that maybe, just maybe, when the shower is first turned on, that a large burst of bacteria fly out. He doesn't have any data to support that assertion, he just states that maybe it could happen to national news sources. Perhaps the reason these scientists did not find any elevated levels of M. avium in the aerosols they tested was because they tested three shower head aerosol mists. THREE. Now, three is a magic number but it is not a sample size that any kind of assumption can be made from. No conclusion can be drawn because one time, in three different showers, scientists did not find elevated levels of M. avium. There are six scientists who contributed to the paper, couldn't they have at least tested their own showers and obtained twice the sample size? More importantly, if this tiny amount of data demonstrates there are no elevated levels of M. avium in shower head mists, why are the researchers telling the press that shower heads are spraying people with harmful bacteria? All the fuss about this new "threat" seems ridiculous. I don't think the misinformation and faulty conclusions are really harmful. If people clean their shower heads frequently, so be it. I do hope though that people are not going to take out their low-flow aerating shower heads and faucets (oh let's not start with the kitchen faucet, the garden hose and all those sprinkler heads that spray a fine mist of water all over your yard, kids and pets.) I think it is irresponsible to advise people to throw out shower heads once a year or to leave the shower running for awhile while waiting in another room. Water conservation and reducing waste should not be subverted by careless science and reactionary press. Neither should common sense or critical thinking. Ha! I bet you won't find many people who say they clean their shower-head's frequently, if ever. That was the suggestion in another article I read, to scrub out the inside with a metal brush. Huh? What about rain heads? How do you clean those off besides the nubbins? Thanks for the applauds Melody! I also read Laurie that bit on cleaning the inside with a metal brush. I guess metal brushes kill bacteria very efficiently and don't leave any scratches for the bacteria to recling too. The metal brush comment came from the lead author on the story - Dr. Norman Pace - whose long and successful career apparently did not include much sanitation experience. Bravo David, I'm glad you're around. 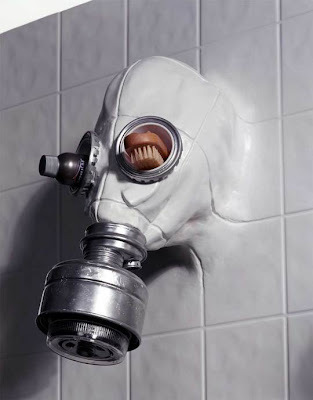 Oh, and WHERE did you find that gas mask showerhead? Fantastic image, utterly fantastic. Well, having taken over 10,000 showers in my lifetime with no ill effects, I think I'll just keep right on showering and not worry about my shower head shooting bacteria on me. Why do people try to make us scared of EVERYTHING?? It's easier to sell stuff no one needs to people who are frightened. Paul, another very interesting post- including the photo! Years ago, someone told me to soak my shower head in vinegar to clean out the mineral deposits from water... so I do that when Spring cleaning. Have you heard what is being preached to 'new' young Mothers lately? It makes one question how previous generations even survived. Talk about paranoia! Paul, I found that image by searching Google Images for "showerhead". I thought you would like it! And I agree with your quip to Kelly about scared people buying more things having been through several hurricane threats here in Florida. It's funny you bring that up Brenda about the "new" child rearing scare tactics. I was just talking to a new mother about them. Soon they will be trying to pasteurize breast milk!